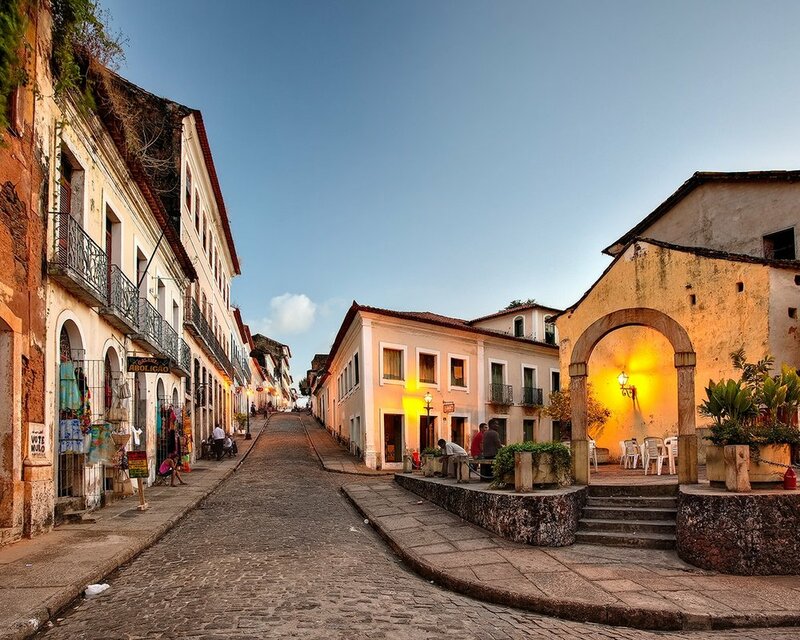 Bounded by the Atlantic Ocean on the east, Brazil has 4,655 mi of coastline. It borders all other South American countries except Ecuador and Chile. Its Amazon River basin includes a vast tropical forest, home to diverse wildlife, a variety of ecological systems, and extensive natural resources spanning numerous protected habitats. This unique environmental heritage makes Brazil one of 17 megadiverse countries, and is the subject of significant global interest and debate regarding deforestation and environmental protection. 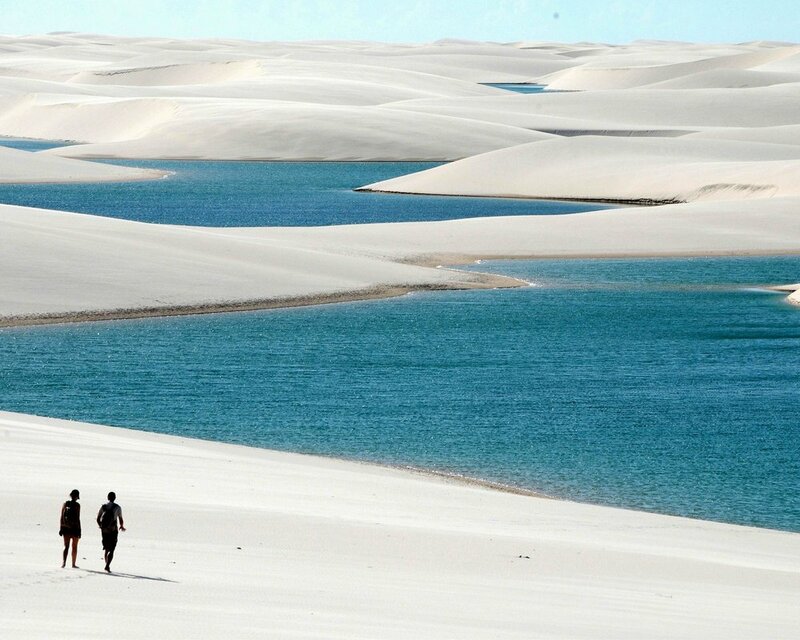 Featured in Brazil: Composed of large, white, sweeping dunes, at first glance Lençóis Maranhenses looks like an archetypal desert, but in fact it is not an actual one. Lying just outside the Amazon Basin, the region is subject to a regular rain season during the beginning of the year. The rains cause a peculiar phenomenon: fresh water collects in the valleys between sand dunes and is prevented from percolating down by a layer of impermeable rock which lies underneath the sand. The resulting blue, green and black "lagoons" are surrounded by the desert-like sand, and reach their fullest between July and September. Experience a world you never imagine existed, a Triple dose of excitement with lots of adventure, beach and ecotourism. 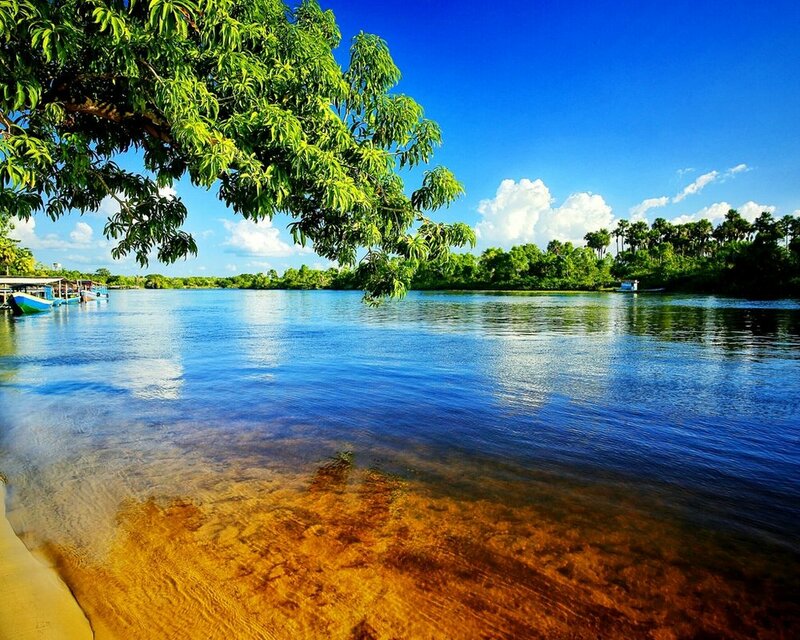 So is the Route of Emotions, involving natural paradises such as the National Park Maranhenses, the Environmental Protection Area of Delta Parnaíba and the National Park of Jericoacoara. The Route of Emotions, itinerary connects three states of Northeast Brazil, Ceará, Piauí and Maranhão, has varied ecosystem, forming seas of perfect waves, suitable for the practice of surfing, windsurfing, kite surfing, and other water sports. The entire route of the Emotions is shrouded in a lot of adventure and the highly-conserved region became mandatory roadmap for lovers of ecotourism, adventure tourism and outdoor sports. The Route of Emotions in 2009, was elected the Best Tourist map of the country, granted by the Ministry of Tourism, during the 4th Tourism Fair, the largest tourist event in Latin America. The Delta of the Parnaiba River continues to be as beautiful and majestic as it was so long ago. Formed by 85 islands in an area of 2700 square km between the states of Piaui and Maranhão, it is the only open -sea delta in the Americas so rare, a great ecological sanctuary. The others in the world being only the Nile River Delta in Africa and the Mekong River delta in Asia. “Many Surprises” Confronted with this singularity, the delta still reserves many surprises. Within the same ecosystem it has different and picturesque scenery: rivers, lagoons, high dunes, marshes and swamps, deserted beaches with white sands and various types of different mangroves of the regions. “Parnaiba River” The source in the Chapada das Mangabeiras, the Parnaiba River, called “Velho Monge” (The Old Monk) by the poets, is second in size to the São Francisco River in the Northeast and is the protagonist for this spectacle The Delta. The rains cause a peculiar phenomenon: fresh water collects in the valleys between sand dunes and is prevented from percolating down by a layer of impermeable rock which lies underneath the sand. The resulting blue, green and black “lagoons” are surrounded by the desert-like sand, and reach their fullest between July and September. “Natural Pools” The Parnaiba and Preguiças Rivers contain an enormous amount of sand from their beds and this is discharged into the Atlantic Ocean. The ocean currents drive the grains of sand to the deserted beaches on a determined stretch of the Maranhão coast. 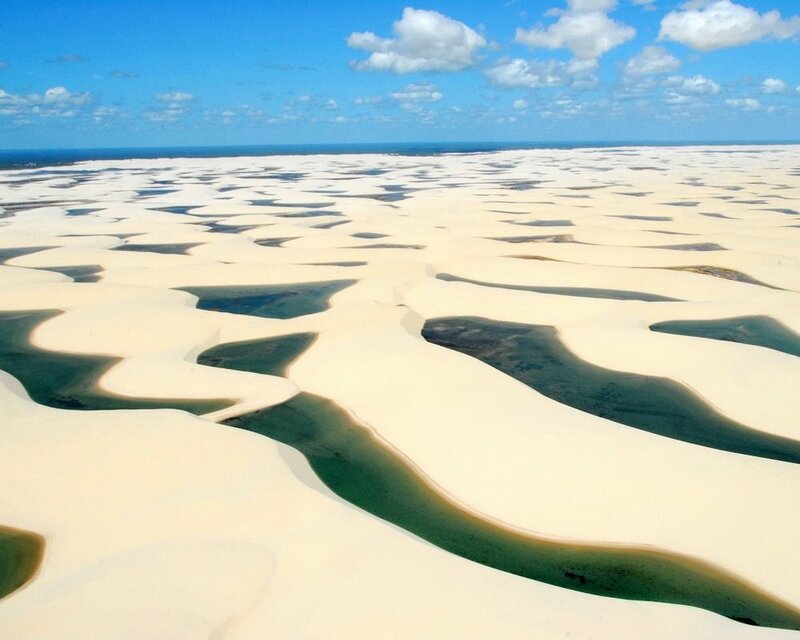 “Nature’s Art” The incessant winds which blow stronger in the months of August and November, form sand dunes that reach up to 50m in height giving the final touch to this work of Nature’s art: The Lencois Maranhenses. 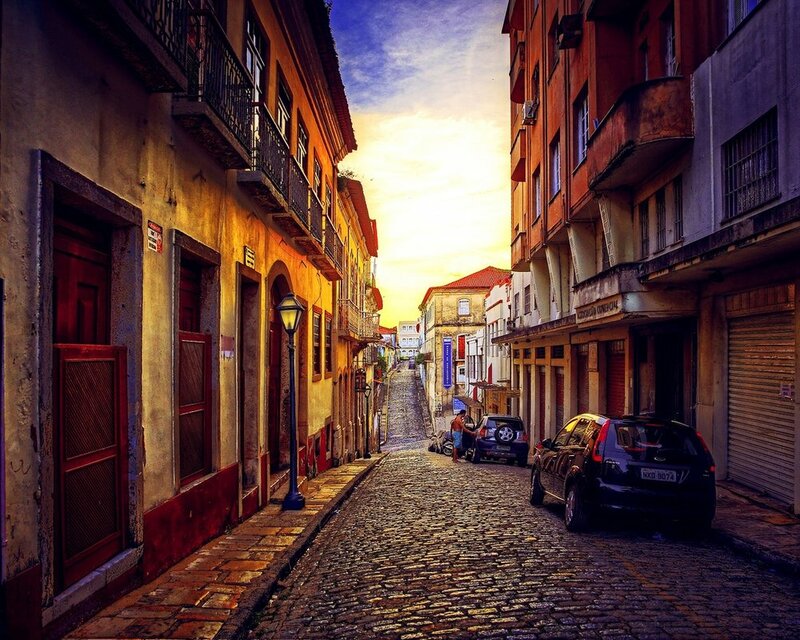 São luís “Outstanding Example of an Iberian Colonial Town.” The late 17th-century core of this historic town, founded by the French and occupied by the Dutch before coming under Portuguese rule, has preserved the original rectangular street plan in its entirety. Thanks to a period of economic stagnation in the early 20th century, an exceptional number of fine historic buildings have survived, making this an outstanding example of an Iberian colonial town. “Historic Patrimony” With more than 3.500 characteristic buildings of the colonial times, it is nowadays registered Historic Patrimony of Mankind by UNESCO, preserving thus its narrow streets and its old landlord houses. “Beautiful Beaches” There are very beautiful beaches at the maranhense capital such as the Praia de São Marcos (Saint Marc Beach) (situated 5 km from downtown and where there is the São Marcos Fort- little fortress situated on a hill); the Praia do Calhau (9 km from downtown, very popular. Jericoacoara is a virgin beach hidden behind the dunes of the west coast of Jijoca de Jericoacoara, Ceará, Brazil. Selected by The Washington Post as one of the Top 10 most beautiful beaches in the world, nicknamed Jeri, consists of blue lagoons, calm seas and huge dunes. “Beautiful Beaches” A place which is particularly fascinating to the visitor is the Paraiso Lagoon (The Paradise Lagoon). It is one of the most beautiful sights in Brazil, A great expanse of crystal clear water, the tone of color varying from emerald green to sky-blue. Pure pleasure! “Real Legend of a place” From then on, American and European adventurers followed by Brazilians landed on that remote and paradise of a beach. From then on to now the flow of tourists has increased, transforming Jeri , as it is locally known, into a real legend of a place. Fortaleza is simply magnificent, recognized as well all over the nation as well internationally, presenting contless qualities. Summer seems to be the only season. So the city is pleasant to visitors, that is to say to those who seek leisure, sun and sea. With more than 30 beaches, some stand out as Praia de Iracema, Praia do Futuro and Mucuripe, an obligatory stop for those visiting the city. “Relax and Entertain” Fortaleza is the starting point to discover all beautiful beaches that stretch along Ceará’s seaside. Hospitality is a characteristic quality of the inhabitants of the capital and of all Northeastern region. So, Fortaleza is the ideal place to relax and to entertain, with wonderful landscapes and a green sea awaiting for you. “Beyond The Beach” The city presents other attractions for those who don’t like to stay in the beach, such as the Ponte Metálica (Metal Bridge) or Ponte dos Ingleses (Englishmen Bridge), situated at the Praia de Iracema, from where we can appreciate a very beautyful sunset; it is 130 meters of a platform, which has even an observatory to see the dolphins; it was built in the 20’s and it was used as a Port of cargo and embarkment. “The most important tourist attraction of the state, after Fortaleza.” This small fishing village, among dunes and cliffs, has good views and is becoming popular with tourists. The main street of Canoa, where most accommodation, restaurants and shops are concentrated, is called Broadway. The nights of Canoa Quebrada are known for animation and diversity. The Tourism Authority of Ceará rates Canoa Quebrada as the most important tourist attraction of the state, after Fortaleza. “This One You Can’t Miss” For those who visit the beautiful beaches of Ceara this is one (Canoa Quebrada) that cannot be missed. There are inns, bars and restaurants with excellent food. “Canoa Quebrada” is as well known in Brazil as it is overseas. It is on the east coast of Ceara, 156 km from the capital, Fortaleza. There are reefs off the beach, streams, lagoons and a line of red-colored sand and rock cliffs which are Canoa Quebrada. Day 4: Head to Parnaíba. We will take a boat along the Rio Preguiças and we will visit the small rivers. Drive by the virgin beach to the river to the Port of Parnaíba for an overnight staying. Days 5-6: Head to Jericoacoara. 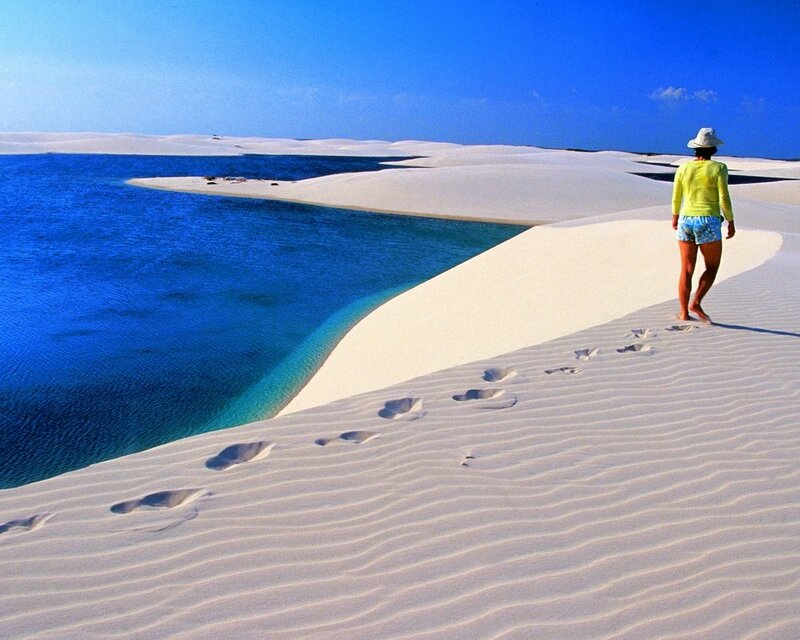 Before driving to Jericoacoara, we will explore the Parnaíba delta, one of the largest in the world, We will visit also a former fishing village surrounded by golden dunes and wild beaches, for a 2 nights staying. Day 8: Head to Fortaleza - Transfer to Fortaleza (approximately 4-5 hours by regular road). Arrival in Fortaleza Airport.